As I mentioned above, I am drawn to Bavaria mainly for its nature. I have only ever visited the French alps - and that was for skiing. We spent a full day walking in the Alpspitze region which was absolutely beautiful. In winter, this mountain turns into a ski resort, so there is a chair lift if you don’t feel like walking up (it is quite steep in parts!). We stopped for lunch and a beer (of course) at the Hollentalangerhutte (1387m), before continuing our walk through The Partnach Gorge. Bodensee, or Lake Constance in English, is the largest lake in Germany and borders both Austria and Switzerland. We accessed the lake from Lindau, which is a charming town full of cobbled lanes and endless cafes and restaurants. From there, we took a one hour round boat tour of the lake, which included some information about the lake and the surrounds (although this was in German). There are lots of hotels to choose from, but we opted to camp on the lake not far from Lindau. It is worth spending at least half a day in Lindau if you get warm, sunny weather. 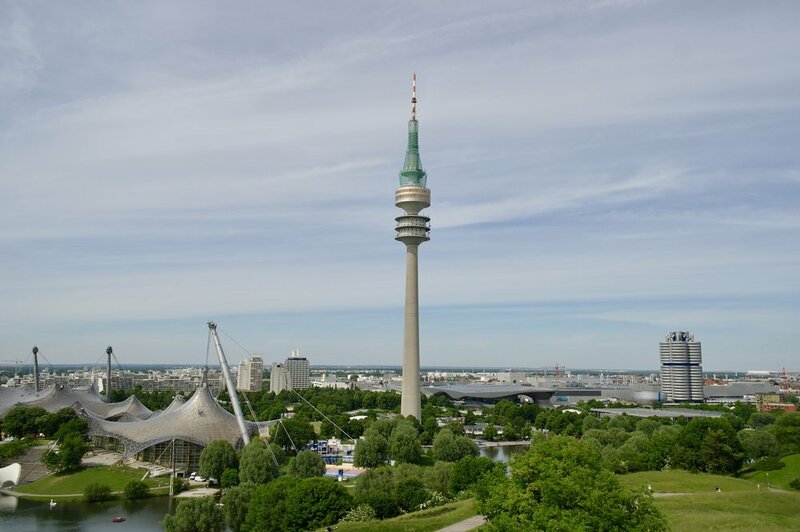 Munich, the capital of Bavaria, is probably at the top of most people's lists when visiting Bavaria. It is an ancient city with endless museums and buildings to explore on foot. I would recommend a walking tour to really get a feel for the city and learn more about its history. We also visited the Olympic Stadium which is a great place to go on a sunny day. A trip to Munich would not be complete without checking out Englischer Garten to see the surfers and enjoy a beer. Bavaria is famous for its extravagant castles and I was lucky enough to visit a few while I was there. 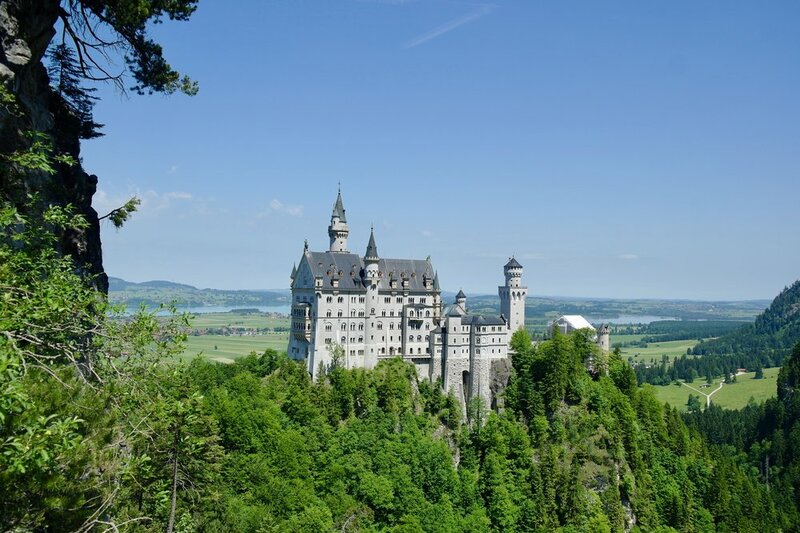 The most impressive was the Neuswanstein Castle, which was one of the many homes built in the 19th century by King Ludwig II of Bavaria. The castle stands on a hill, with a beautiful backdrop of the mountains and lakes. Close by is another of King Ludwig’s residences, Hohenschwangau Castle. I didn’t actually go inside either of the castles, as the wait to get inside Neuswanstein was over five hours. Tip: reserve tickets before you go if you want to go inside! It is very touristy and you will have to wait otherwise. You can walk up to the entrance of the castle, and even go into the courtyard, free of charge. A short walk to the Marienbrücke will give you an incredible view of the castle. While you’re there, be sure to take a stroll to Aplsee - a beautiful turquoise lake where you can swim or rent a boat. The closest town, Füssen, is the perfect place to grab some food after you've explored the castle and it's surrounds. One of Germany’s oldest cities, Augsburg is a quieter, but equally beautiful, alternative to Munich. Rent a bike and explore the Botanic Gardens, visit a lake or ride through the city. We visited the fascinating Fuggerei, which is the world's oldest welfare housing complex, dating back to 1516. While people do still live there, sections of it are open to the public and you can even explore the old bomb shelter. Amazingly, rent for one year is still only 88 cent! I managed to do all of the above in ten days. While there are so many other amazing places to visit in Bavaria, I felt like I got a good introduction to the state and saw a few of its highlights. Having a car will make travelling easier, especially to access the Alps. However, the train links between each city are a fairly cheap and reliable way to get around.